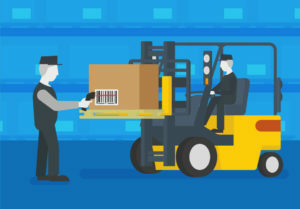 Most businesses require a reliable mode of tracking their inventory. It is not one of the most exciting parts of running a business, but still an extremely necessary one. As a business owner, you must always be aware of the number of good purchased, sold, and stocked. Keeping a manual count of your products is difficult, time-consuming, and not to mention, unreliable. However, thanks to technological advancements, there are a numbers of automated systems in place that can help you constantly keep track of your inventory. Tracking in Real-time: Gone are the days when you had to take a manual count of your goods at regular intervals. The invention of scanners has automated and simplified the process of tacking inventory infinitely easier. You can now receive live, real-time updates every time your product is moved. You are aware about whether your product has been sold, or has made it to the retail outlet for the very first time. POS Systems to the Rescue: The need for a POS (Point of Sale) system is on the rise, now more than ever. A number of businesses are opting out of the manual billing system and adopting the POS system. More and more businesses are relying on concepts like barcodes, cash registers, touchscreen payment portals, and electronic payment options. This helps them keep an immediate track of sales made, and take a stock of the existing inventory. Reducing your Paperwork: One of the most obvious advantages of having an automated inventory tracking system in place is that it almost nullifies your paperwork. You do not need to maintain a hard record of your inventory, saving time and manpower. It also saves cost involved in hiring a team to manually manage your inventory. Diversifying your Solutions: As a business owner you now have a variety of software apps and tools to choose from when it comes to opting for inventory related solutions. The software apps are now more industry specific rather than being generic, making it easier for your inventory manager to manage your stocks. A number of software apps also offer customization options, making the whole process of managing inventory much more efficient. Information is the Game Changer: All inventory tracking software apps help you gain a unique and diverse degree of information about even the minutest detail regarding your stocks. You get a unique insight into every aspect of your inventory, right from manufacturing, purchases, stocktaking, to sales. As a business, creating and managing your inventory can put a strain on your working capital, and that in turn can make you hesitant when it comes to expanding your business. In such a situation, opting for a short-term business loan can be a great idea. A number of companies like NeoGrowth give out easy, short-term business loans of upto ₹ 1.5 crores in India. Find out more at www.neogrowth.in. NeoGrowth offers its clients quick, easy loans with no fixed EMIs, no collateral, limited documentation, and a loan disbursement period of just 3 days. Previous How do you Make Accounting Easier for your Business?